Applications for the judging lists or progression to another list can only be made via a UKDP member Breed Club. 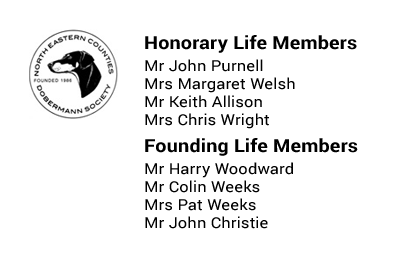 The applicant should send a copy preferably as an email attachment of the fully completed questionnaire and appropriate certificates, alternatively five hard copies to one of the member Breed Clubs Secretary to be verified as listed below. Applications will be forwarded to the UKDP member club Secretaries as a proposal to be considered and voted on at their next Committee Meeting. At the UKDP meeting, voting on the application will take place and those applicants achieving a majority approval will be invited to join the relevant list. Applications will only be accepted on the correct form and applications that do not meet the criteria will be returned. Each page of the application form must be signed and dated by the applicant. Judges must have been approved for appropriate lists before accepting any appointment. * Indicate Kennel Club Standard Requirements. The UK Dobermann Partnership reserve the right to review and/or amend the lists as deemed necessary. Judges will be notified in writing of any changes to their status. Inclusion on a judges list in one year does not automatically ensure subsequent inclusion.